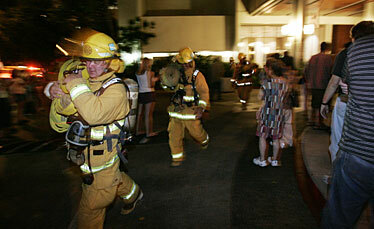 Firefighters packed up last night after extinguishing a fire on the 15th floor of the Chateau Waikiki at 411 Hobron Lane. One unit was engulfed in flames, and scores of residents were evacuated from the 39-story building. There were no injuries. The Fire Department was called at about 8:40 p.m. and had the fire under control in 20 minutes. 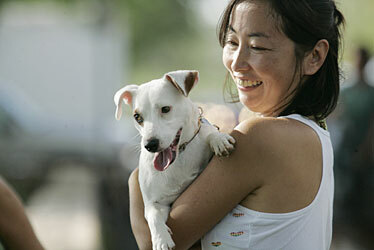 Harue Silberstein held Mahina, a Jack Russell terrier, and talked with friends yesterday near the Diamond Head Lookout.